B.sweets Chocolate Returns to Raleigh! The Market at Ravenscroft is an annual spring shopping event held at the Ravenscroft School in North Raleigh. The 5th annual event was held earlier this month from March 18th through the 20th. The Market draws over 70 vendors from across the country that travel to Raleigh to sell unique art, clothing, jewelry, women’s accessories, candies, and home and garden items. 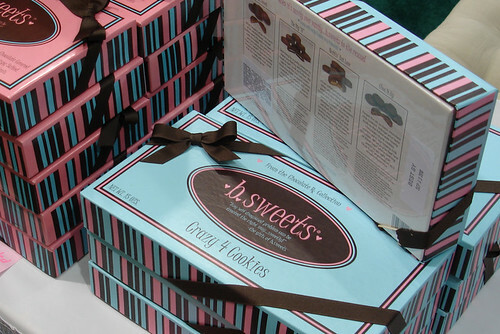 A fan favorite at the Market is B.sweets, a family-owned candy business started by two sets of sisters from Southwestern Pennsylvania that makes decedent chocolate covered treats smothered in rich milk chocolate, like chocolate covered pretzels, graham crackers, and marshmallows. The students at Ravenscroft like to gobble up the free samples of these tasty treats and drop subtle hints to their parents that these chocolates goodies would look great in their Easter baskets. 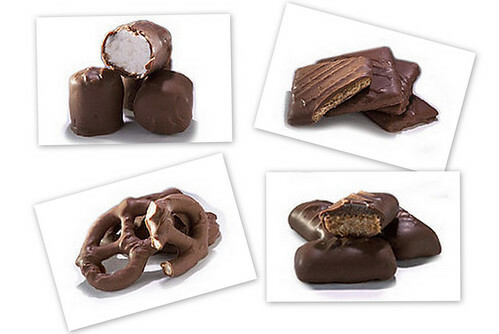 My personal favorites are the chocoalte covered cookies and chocolate covered marshmallows, which are also sold on lollipop sticks and called “Pillow-Pops” (one of my favorites!). A portion of the proceeds from the event at Ravenscroft are donated to support the WakeMed Children’s Hospital. B.sweets also supports The Breast Cancer Research Foundation by donating a percentage of sales from designated products sold on their website. For those of you with a sweet tooth who missed the Market at Ravenscroft don’t despair! B.sweets is running an Easter special with a 25% discount on online orders placed through March 31, 2010. Just use the promo “BUNNY” to receive 25% off when you place your order online. To learn more about B.sweets you can join their Facebook Fan Page.